Graphite is used as a temperature and chemical resistant gasket in chemical, petrochemical and many other industries. It is resistant to almost all chemicals and solvents and is ideal for most working environments. It is suitable for a very wide range of applications, steam as well as inorganic and organic bases, solvents, oils and fuels. Our graphite gaskets are available in standard form but we can also offer custom graphite gasket solutions. To discuss your graphite gasket requirements, contact ATC today. 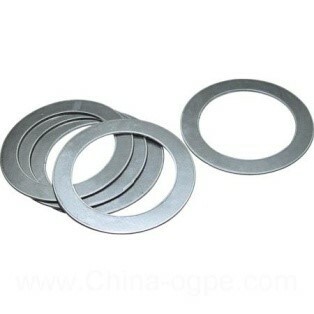 We also stock a variety of other gaskets such as Kammprofiles and Spiral-wound gaskets as well as Cork gaskets, soft-cut gaskets and metallic gaskets. We work with our customers on their specific application to provide the best solution. ATC can offer a wide range of high quality components at affordable prices. Our product range includes like o-rings, gaskets, clamps, bellows, lubricants, sanitary fittings, bottling components, hydraulic components and more.